Alberta is no stranger to extreme weather events, such as the 2001-2002 drought and 2013 Southern Alberta flood. 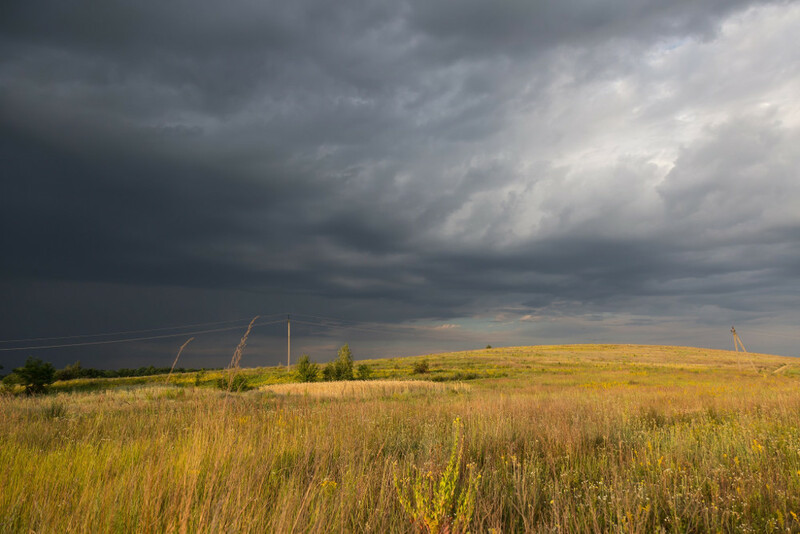 However, not all extreme weather events that impact Albertans will make national headlines; events such as intense rain, heavy snow, hailstorms, unseasonable frosts, and drought can have significant consequences for families and communities. When recovering from extreme weather events, you may not always know where to turn. Sometimes there can seem to be an overwhelming number of resources to consult, while in other cases there can appear to be very few. To help, we have compiled the potential financial resources available to Albertans as they recover from an extreme weather event involving water: flood, drought, snow and hail. 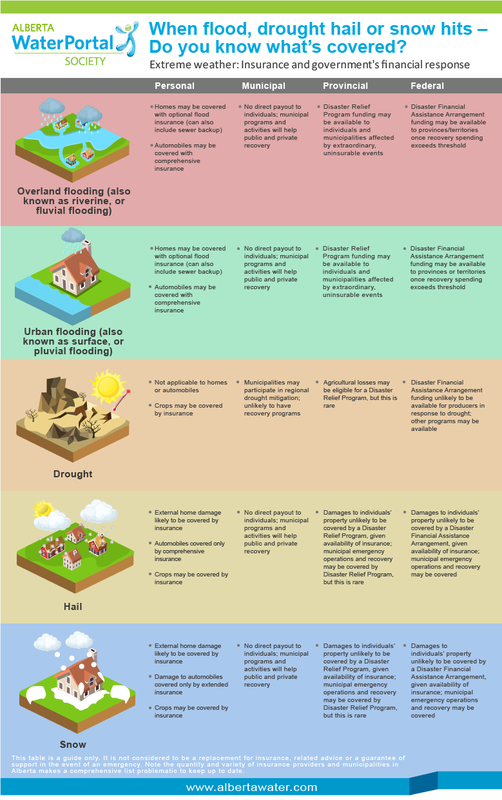 This is by no means an exhaustive summary of the resources, financial or otherwise, which may be available during the extreme weather event recovery period. When flood, drought, hail or snow hits – do you know what’s covered? This table is a guide only. It is not considered to be a replacement for insurance, related advice or a guarantee of support in the event of an emergency. Note the quantity and variety of insurance providers and municipalities in Alberta makes a comprehensive list problematic to keep up to date.